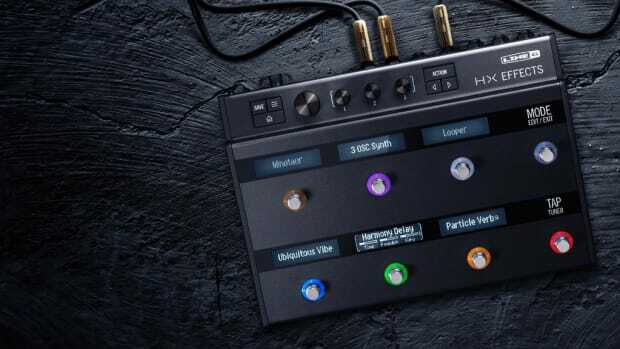 Step into any major, project, or home studio in 2018, and there&apos;s a high likelihood that you&apos;ll see a Universal Audio interface powering the session—the company&apos;s Apollo units, which range from the two-channel Twin to the 16-channel Apollo 16, have become wildly popular with aspiring and professional producers and engineers alike, in addition to spawning a hugely popular proprietary plugin format. If there&apos;s been one knock on UA&apos;s existing offerings, it&apos;s been their lack of portability. Most Apollo units are rackmount, and while I love the Apollo Twin, it&apos;s hardly the most portable or slim-profile interface out there. With on-the-go and budget-conscious producers in mind, UA&apos;s newest release—the Arrow—seeks to offer a more travel (and wallet) friendly solution while maintaining the legendary sound quality UA is famous for. In this review we&apos;ll take an in-depth look at the Arrow, seeing where it stacks up with our favorite interfaces from UA and others. The Arrow is unquestionably the smallest and most portable interface we&apos;ve seen from Universal Audio to date; while it&apos;s still not the smallest interface on the market by any means, it is substantially easier to carry around than our existing Apollo Twin Duo. It feels well built, and while it&apos;s certainly not as polished or high-end as the rackmount Apollo units, this is to be expected, as the Arrow is the first UA interface to clock in with an MSRP below $500. One of the main reasons the Twin can be such a pain to use on the road is it&apos;s need for external AC power—it cannot run off of Thunderbolt power alone—and in seeking to streamline the Arrow for the traveling producer, UA made the bold choice to make the interface Thunderbolt 3 compatible, with no other connections or power sources supported. Consequently, there are a few really important things we need to stress about the Arrow; first and foremost, if your computer doesn&apos;t have a native Thunderbolt 3 port, this interface simply doesn&apos;t work—a Thunderbolt 2/3 adapter or a USB/Thunderbolt 3 adapter will not suffice. Unfortunately, this means many producers and engineers won&apos;t be able to use the Arrow until they update their computer to a recent model; currently, the only Mac laptop that supports Thunderbolt 3 is the pricey MacBook Pro. It&apos;s also definitely worth noting that the Arrow does not ship with a Thunderbolt 3 cable—it must be purchased separately, which will run you another $40 or so. Once you get past the Thunderbolt issues, the Arrow is much of what we&apos;ve come to expect from UA; absolutely stellar sound quality, two highly usable Unison preamps, and a ticket into the exciting (and expensive) world of UAD plugins. In our testing, the Arrow was rock solid, with relatively low latency and no stability issues. Arrow is a 2x4 (two inputs, four outputs) interface featuring two Mic/Line TRS/XLR inputs, a Hi-Z input, two stereo TRS outs, and a dedicated headphone output. While some portable interfaces ship with more inputs than Arrow, my priority with an interface of this size is it&apos;s AD/DA conversion and sound quality, and Arrow brings the goods in this regard. If you&apos;re evaluating budget and travel-friendly interfaces like the Arrow, you&apos;ll ultimately need to decide what matters more: sound quality, portability, or price. 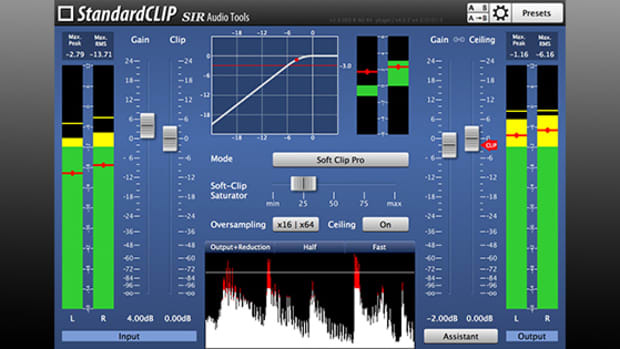 While the Arrow isn&apos;t the most portable interface we&apos;ve ever seen—it wouldn&apos;t be much fun to use on a plane, for example—it offers (to my ears) the best AD/DA conversion and processing in this budget range, and does so by a substantial margin. I&apos;ve long been a fan of UA&apos;s Unison preamps and UAD Unison plugins—I own the SSL, API, and Neve Channel Strips, and they get used constantly in my sessions, whether it&apos;s for tracking vocals or synths. The Unison technology is the real deal, and while I don&apos;t have a Neve 1073 on hand to compare it to, it&apos;s really stunning what the preamp can do to liven up a vocal or synth track, particularly if you&apos;re used to tracking though lower quality preamps; the EQ on the UAD Neve 1073 is a dream to use, and overdriving the input (while attenuating the output) to drive the plugin creates the same tones you&apos;d expect from a real Neve unit. 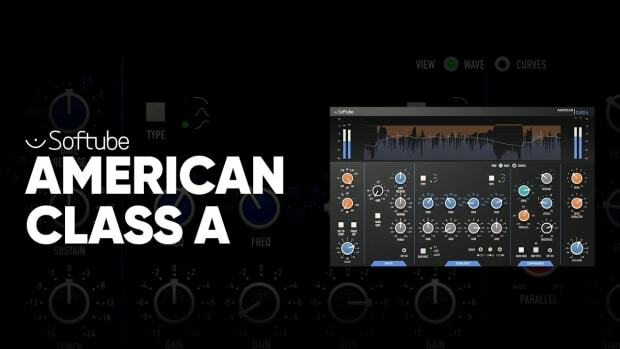 In my opinion, the fact the Arrow gives you access to Unison-enabled plugins is a game-changer on its own; there&apos;s simply no other interface at this price range which will give you similar input processing quality. If you&apos;re recording on a budget, I&apos;d highly recommend you try out an Arrow or Apollo Twin with one or two of the Unison preamp demo&apos;s; you&apos;ll be getting pro-level sound quality for a fraction of the price of real hardware, and the plugins are capable of processing audio input in real time, with near-zero latency. 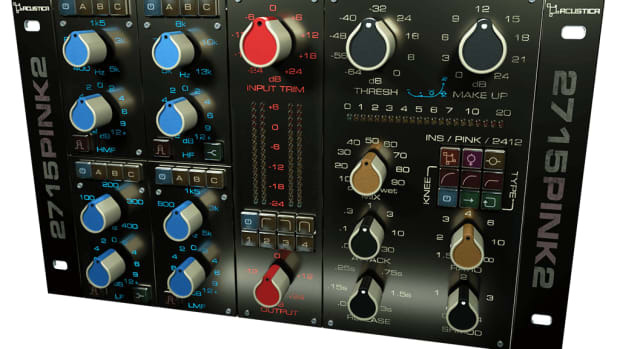 While we&apos;re on the topic of UA&apos;s stellar plugins, it&apos;s worth noting that the Arrow also opens up the possibility of using non-Unison UAD processors—such as the beloved EMT 140 Plate Reverb or Empirical Labs Distressor—at a lower price point than any other interface. 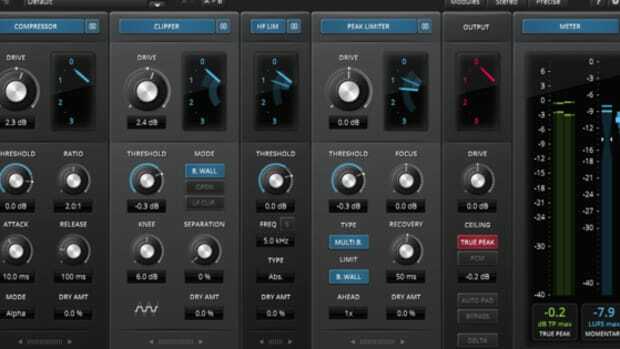 I&apos;ll be the first to admit, I was highly skeptical of all the hype surrounding UAD plugins before trying them myself; they seemed extremely pricey and out of touch with much of the rest of the plugin market, but upon trying a few of them out, I recognized what all the hype was about—they&apos;re truly some of the best sounding plugins you can find anywhere, and many of them are well worth the price of admission. 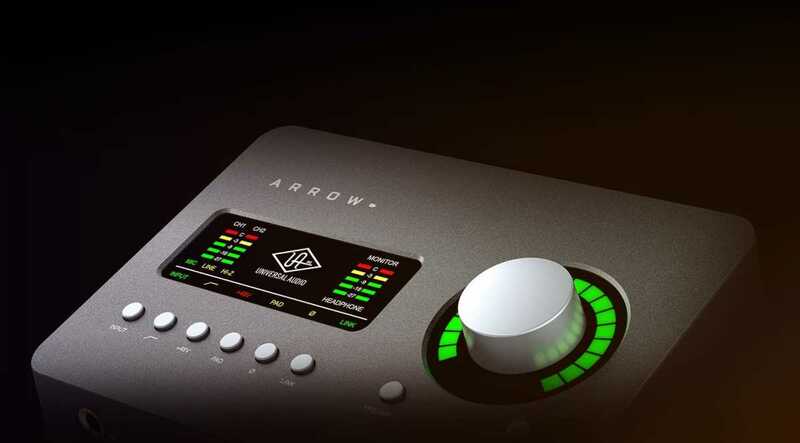 The Arrow utilizes a Core Solo chip, the same found in UA&apos;s Apollo Twin Solo, which is fairly restrained in its processing power—if you want to run massive sessions with loads of DSP-hungry UAD plugins, you&apos;ll likely need to print tracks, add on additional UAD processing units, or simply opt for a higher-end option. That being said, my goal when using a portable interface is rarely to run a massive session, and just being able to use UAD plugins on the road—which really has been a non-starter before—is now possible, and as a result the Arrow opens up a whole range of new possibilities for producers who are on-the-go. Plugins aside, the most crucial aspect of any audio interface is the quality of the mic preamps and the AD/DA conversion; in my experience, UA is among the absolute best options on the market in both categories—and the Arrow upholds this standard of legendary sound quality in all its glory. Arrow&apos;s AD/DA conversion offers a noticeable bump in quality when compared to many similarly priced interfaces, and it&apos;s quite possible to mix a stellar record entirely on the Arrow provided you have some quality monitors. The mic preamps are clean, transparent, offer plenty of gains, and will sound familiar to anyone who&apos;s used a UA Apollo unit before—while I don&apos;t know if they&apos;re the exact same model used on the Apollo Twin, they certainly have a similar sound character to my ears. We couldn&apos;t find much not to like about the Arrow, provided you have a Thunderbolt 3 compatible computer; while the decision to go Thunderbolt 3 only will likely make a number of potential buyers think twice, for the time being, we do respect UA pushing boldly into the future and moving away from outdated ports like USB, which a surprising number of entry-level interfaces still use. We&apos;d highly recommend the Arrow to any producer, engineer, or musician looking for the best-available entry-level interface for both recording and mixing; I&apos;ve tried most interfaces in this price range, and to my ears, the Arrow clearly has the finest AD/DA conversion in a sub-$500 unit. As is typical for UA, the preamps are similarly outstanding, and tapping into the stellar Unison technology is something no other interface in this price range can offer. While the decision to only support Thunderbolt 3 will likely put off some, if your laptop can handle it, the Arrow is a great interface at a very reasonable price. 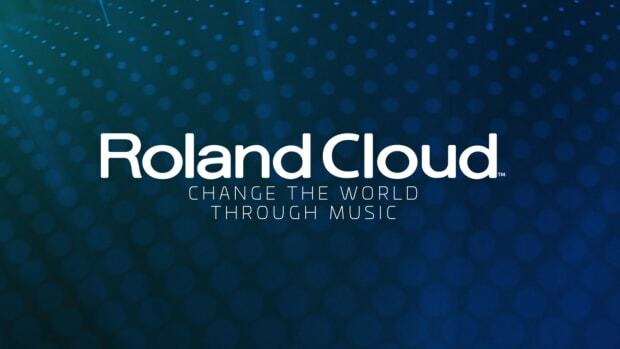 Outstanding AD/DA conversion and sound quality. Relatively portable and easy to use. 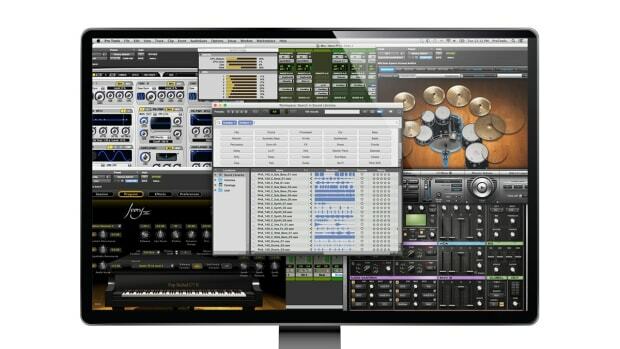 Gives you affordable access to the world of UAD Plugins. While small, it&apos;s not easy to use on a plane or in cramped space. Thunderbolt 3 only - no USB, Firewire, or Thunderbolt support.